Tui T. Sutherland, we have created dragon eggs and a game to go along. This is a great crafting activity, combining the love of books and a good story with the love of craft and an opportunity for extended group play. Perfect for a day where you've got a few kids around (or just as good for a kid on their own to make the craft and play the game). Time: 10 minutes preparation plus hours of extended play. Hard boil two eggs (this is an adult task). Tell younger kids a dragon story about a quest for eggs, or have older kids read a dragon story. 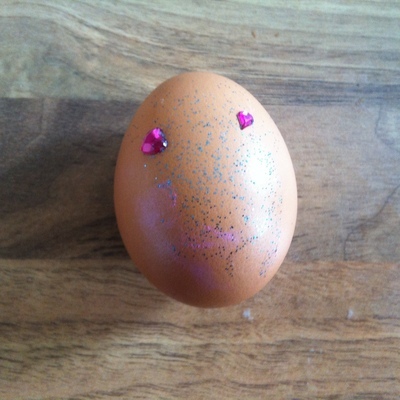 Next get kids to decorate the cooled down eggs by using glitter glue, sparkles and glue to decorate the eggs. They can come up with lots of cool designs. Once the eggs are dry you are ready to play the game. Kids can build a nest out of a towel and keep the eggs in it, then one kid can assume the role of a dragon who lays the eggs, then can somehow lose them or have them stolen, and go on a quest with friends to get the eggs back before the dragons hatch. This has opportunity for extended play for hours. 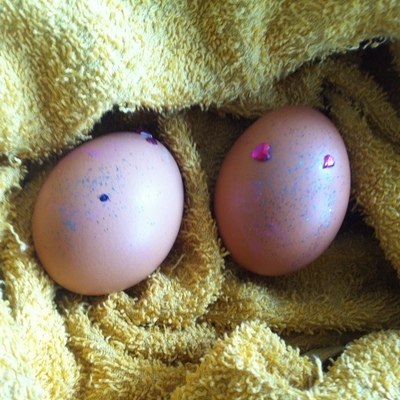 If you have kids of mixed ages, the older ones could read and relay the story to get the younger kids interested, then the younger kids could decorate and hide the eggs. Just make sure that at the end of the day, the eggs are retrieved so they don't end up getting yucky, creating new eggs the next day if it's the holidays and the game is going to continue. Have you tried a photo enhancing app?